How sure are we that Secrets of the Hip and Knee (DVD) will work for you? Simply fill out the form below and put Secrets of the Hip and Knee (DVD) to work for you right now. Obviously, we would go out of business if Secrets of the Hip and Knee (DVD) didn't work, the way we said, right? With the promise of a full refund if you're unsatisfied, you have nothing to lose by trying Secrets of the Hip and Knee (DVD). Go ahead and try it today. Ravaged by Nagging Knee Pain, Hobbled by a History of Knee Injuries or Bothered by Out-of-Whack Hips? "I need to limit my running"; "I don't squat anymore because...."; "My knees are shot". These are common complaints related to knee pain in the fitness and athletic world. Gray Cook, and Brett Jones reveal how to screen, and address the major contributing factor to hip and knee dysfunction. This 2-DVD set reveals a systematic approach to general screening, mobility/stability screening and corrective strategies that will lead you to return to effective exercise progressions. Discover why the Knee commonly falls victim to weaknesses in other parts of the body. Learn specific Screening and Assessment techniques for the hip and knee in order to identify weaknesses in the Kinetic Chain. Know what Movement Prep Techniques to utilize when significant problems have been identified. Learn Mobility and Stability Corrections designed to lay the foundation for proper movement patterns. Discover techniques to create strength and power without losing efficient movement patterns. As one of the nation's most renowned physical therapists, as Reebok's first master coach, as a consultant to numerous professional teams and as an author of the landmark title Athletic Body in Balance, Gray Cook has immense theoretical and practical wisdom about what it takes to identify and correct these imbalances and blocks in the body. Let me tell you that as a clinician with a practice that is focused on orthopedics, sports medicine, and chronic pain, just Gray & Brett's intro on the first DVD gives you so many immediately applicable tips that the INTRO ALONE is worth the price of the DVD set. If you teach any sort of movement science (from dance, to martial arts, to phys ed, to elite sports), GET THIS DVD SET & STUDY IT CAREFULLY!!! Rated 10/10 Gray Cook Is The Man! I will continue buying anything that Gray Cook puts his name on, he is that good and I have yet to be disappointed with any of my many purchases. I have grown so much in my massage professional and I give all thanks to Gray Cook and his expertise and professionalism! Rated 10/10 Brett & Gray make a great team! Excellent DVD set.....So much material, I have to play it over several times to get it all to sink in. I started with Brett's Kettlebell for trainers DVD a couple of years ago, and last year I read Gray's "Movement" book. Both were excellent, and this "Secrets" series of 4 DVD sets is making the movement book come alive for me. Well worth the investment. Brett Jones and Gray Cook absolutely spill the beans on this two part DVD. Having been though many postural and biomechanics certifications, this DVD is more relavent and apllicable. That's not to take anything away from the others, but The Secrets of the Hip just makes sense. The principles they teach are based on anatomy, physiology and logic. Their is so much nonsense out there that is very refreshing to see Brett and Gray de-mystify the common physical therapy protocols based on research that just doesn't work and has never worked. 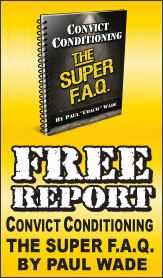 Watch this DVD and you will immediately increase your ability to help people today!!! I highly recommend this to any strength coach, therapist or person who wants to learn how the body actually works and how to fix it when it goes wrong! Great job guys!!!! Gray Cook continues to amaze, I will continue to learn with this DVD. Rated 10/10 I'd call these DVDs, "The Backside: Part II"
It really goes hand-in-hand With the backside DVD. Once patients/clients can properly deadlift, they at least should have the core stability to perform more complex lower body movement patterns.From there, utilizing these DVDs the clinician/trainer can evaluate these patterns and fix the mobility/stability issues all the way down the kinetic chain. These DVDs truly allow one to help evaluate and treat functional movement patterns of the lower body.